In the midst of this week’s harvest of apples, purple pole beans, cabbage, lettuces, bush beans, zucchini, peas and kale, I have a rather large flop to note. Broccoli is one of our favorite veggies, and my first crop this year is a disaster. There are a few lessons here I hope I learn. I tried a new (to me) variety of seed called Waltham 29 from Baker Creek Heirloom Seed. 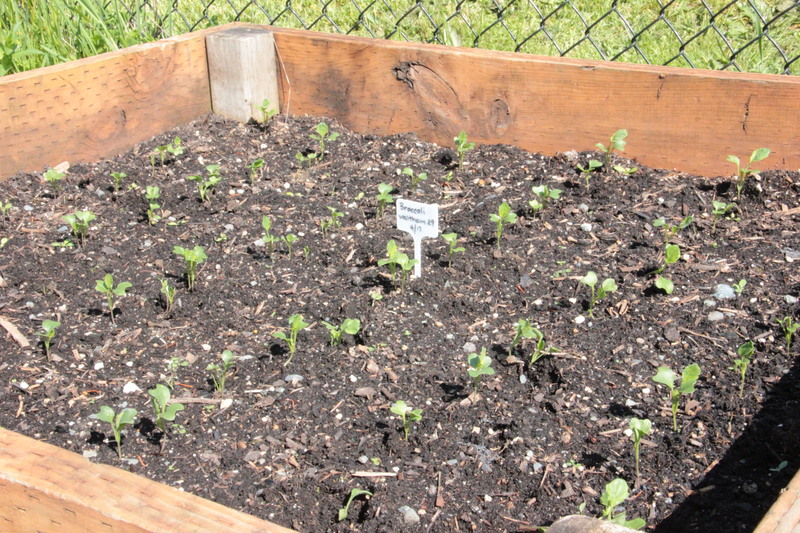 LESSON ONE: It’s great to try new varieties, but why mess with the tried and true broccoli I grew last year? Always stick with a sure thing, perhaps while trying a new thing at the same time. 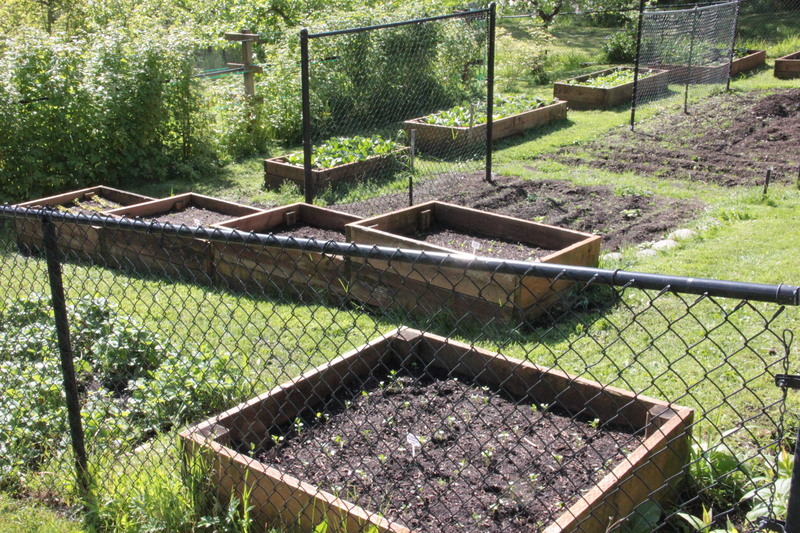 I sowed directly into the prepared raised bed back in April, and all looked great mid-May as seen in the closest bed below. In June I faithfully watered and hesitantly thinned plants. LESSON TWO: Brave thinning is absolutely critical. Stop the foolishness of trying to keep every sweet little seedling, since all will suffer if all are kept. Big plants make big veggies and big plants need big space. Overcrowding means death, or at least stunting. 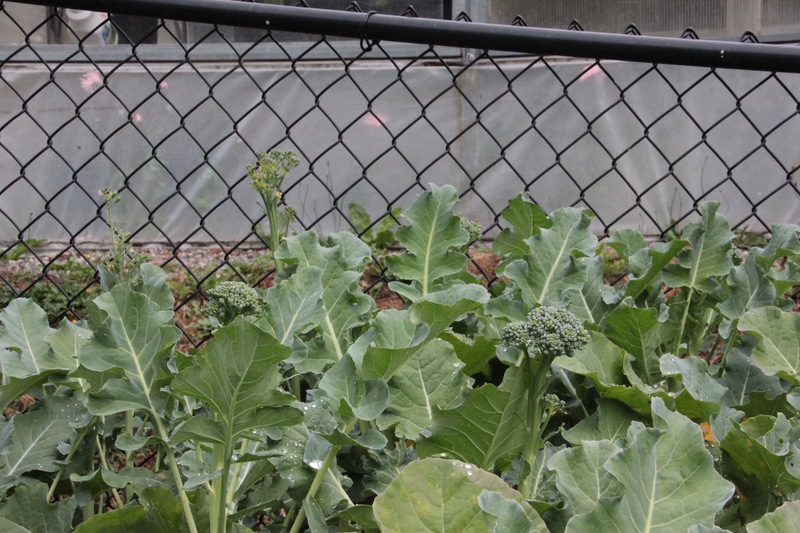 And here in mid-June, the broccoli seems to be doing well. At that point, the broccoli heads really weren’t developing well and were barely visible so I stayed hopeful and bided my time. In July I harvested some disappointing mini florets. I think I probably clipped maybe a pound from a bed that should have given us six pounds minimum. Many plants didn’t send up stalks at all. 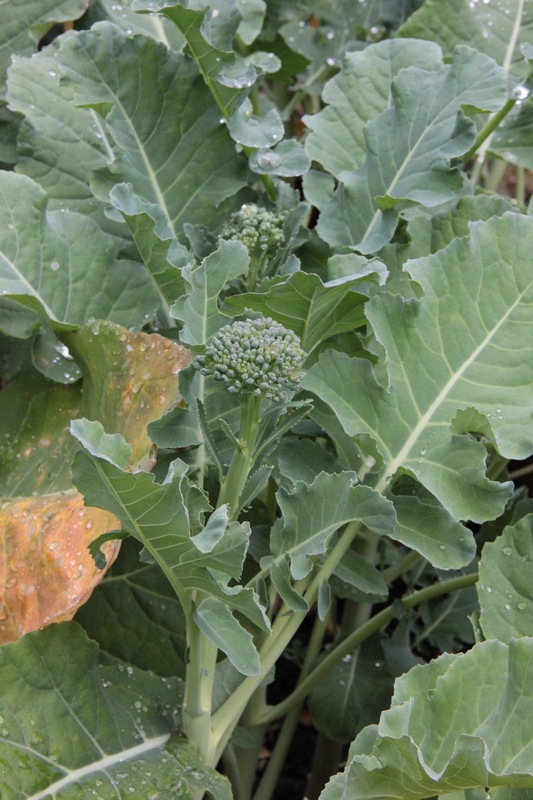 It’s possible that this year’s particularly warm late spring and early summer caused some of the problem, since broccoli prefers cool weather. Still, this year wasn’t so different from 2014 when my harvest was bountiful. So we’ve eaten our mini stalks and have none left to freeze. 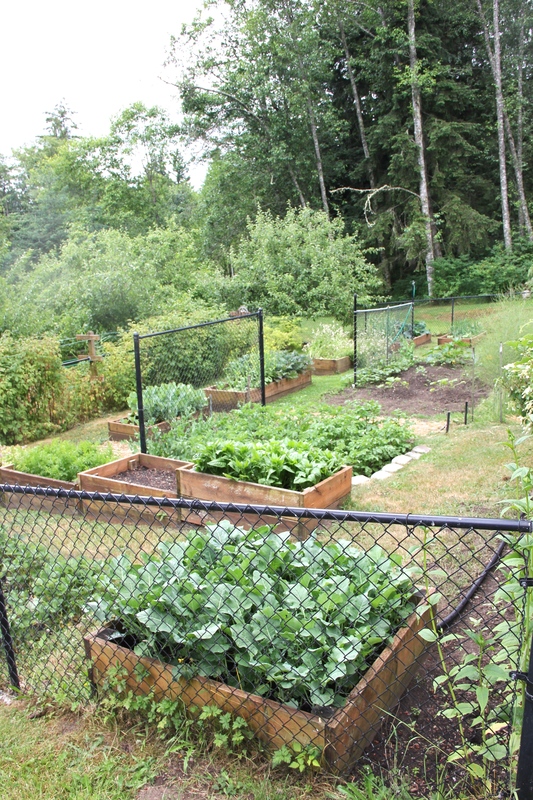 I’ll be starting a new crop to harvest in the fall. The flop was even confirmed by the hens who love most everything I toss to them. They’ve turned up their beaks at these broccoli greens. This entry was tagged broccoli, gardening, Olympic Peninsula, Pacific Northwest, veggie garden, Waltham 29. Bookmark the permalink.